The new-look Envision Virgin Racing Formula E team has completed its final preparations ahead of next week’s all-important official pre-season testing at Spain’s Ricardo Tormo Circuit in Valencia. As the countdown continues to the much-anticipated fifth season of the all-electric series, Envision Virgin Racing will take to the track from October 16 alongside 10 other teams and 20 drivers for three days of intense running on a modified version of the 3.09km National Circuit. 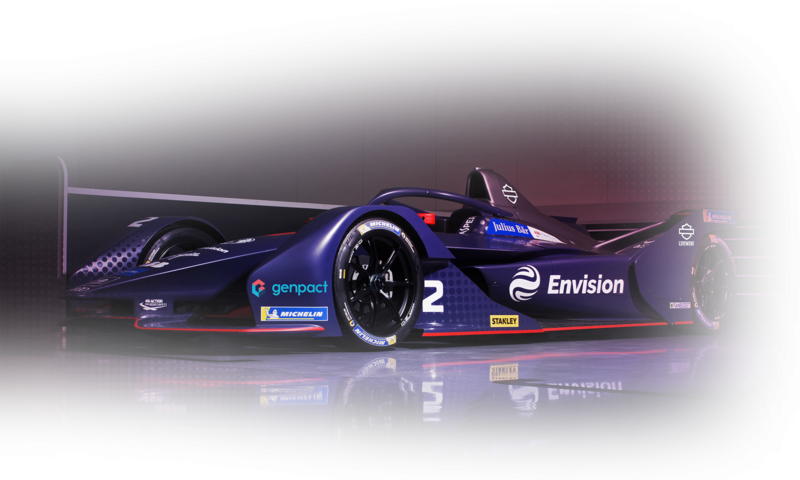 Last week the team, one of the founding in the series, unveiled a fresh look identity, car livery and driver line-up at its Silverstone headquarters, led by Envision Group founder and CEO Mr. Lei Zhang – the team’s majority owners. Running in its now iconic purple, silver and red colour scheme, the test sessions will be the first time the team has run publicly – as well as alongside rival teams – following the summer break and will be the only chance to fine tune its new Audi e-tron FE05 cars before the season opener in Riyadh on December 15. Three days of collective testing take place at Valencia’s Ricardo Tormo circuit, beginning on October 16, through to October 19, with a one-day break on the Thursday. Each day of testing will be split into two sessions, with cars running between 9-12am in the morning session and 2-5pm in the afternoon. The test will be open to the public on Tuesday 16 and Friday 19, and to register fans should visit http://info.fiaformulae.com/season-5-testing.